I am 90% sure you are tired of hearing me go on and on and on about dressing myself. What can I say, I'm like a kid on the first day of Kindergarten with new shoes. 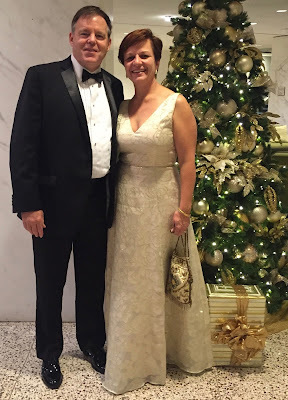 My husband and I got invited to a black tie dinner a couple weeks ago, and neither of us was interested in dusting off the ol' mess dress. I hadn't "dressed like a girl" for a formal since college, and I wanted to make the most of it. At the same time, I didn't want to spend a lot on a dress I may never wear again. 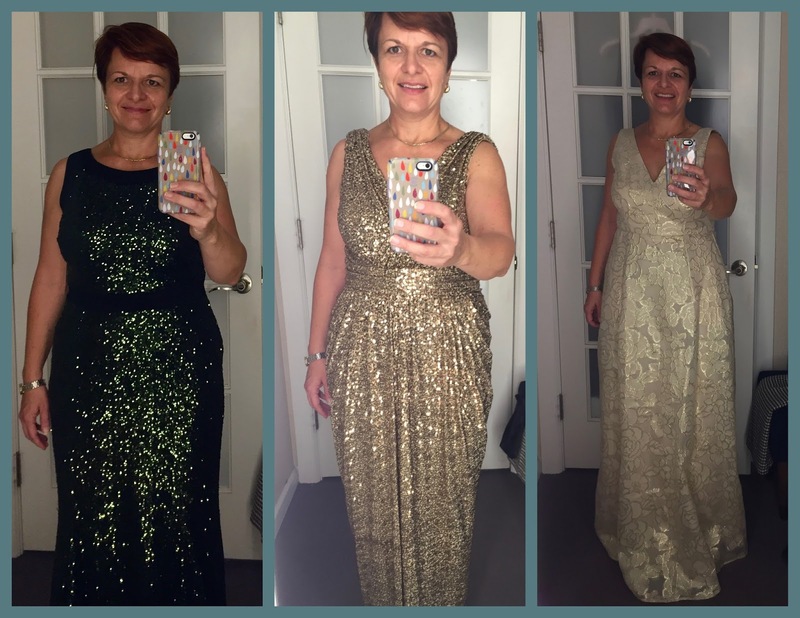 I had heard about a web site called Rent the Runway, and I liked the concept - instead of buying a one-use special occasion dress, rent something designer instead. I am lucky because they only have 5 brick and mortar shops, and one is here in DC in Georgetown. The one on the right was the winner - it had pockets even! They only had my size in long, but assured me that they would have it in regular length for me to pick up. On the designated day I picked up the dress, gave it one more try, and then took it home to get gussied up. The dress rental was $100, plus $5 insurance. It came in a cool garnet bag that folded up so to return it I just needed to slip in the return address card and drop it at my nearest UPS location. Return postage is included. You could also rent jewelry and a clutch, but I decided to do that on my own. I would 100% do this again - we had a great night and I felt like a million bucks!